This one-day instructor-led course provides students with the knowledge and skills to productively utilize Office 365. The course focuses on day in the life scenarios for working in Outlook Web Access (OWA), accessing new features of Outlook utilizing Exchange, Lync and SharePoint and Web Apps associated with SharePoint. This course is intended for information workers who have used Microsoft Office and basic navigation skills. This course is also intended to provide Technology-Influencing Business Decision Makers (TIBDM) in need of gaining an understanding of how Office 365 can increase employee productivity, share information easily and complete tasks faster. A basic understanding of how to navigate in Windows 7 and to open Office programs. Students will gain a solid understanding of what is included with Office 365 and how to efficiently use the features of Office 365. 1: What is Office 365? This module explains how to maximize the utilization of Office 365, and is designed to help you be more productive in your work day. This module will go through navigation and customization of the Office 365 interface. • What makes up Office 365? 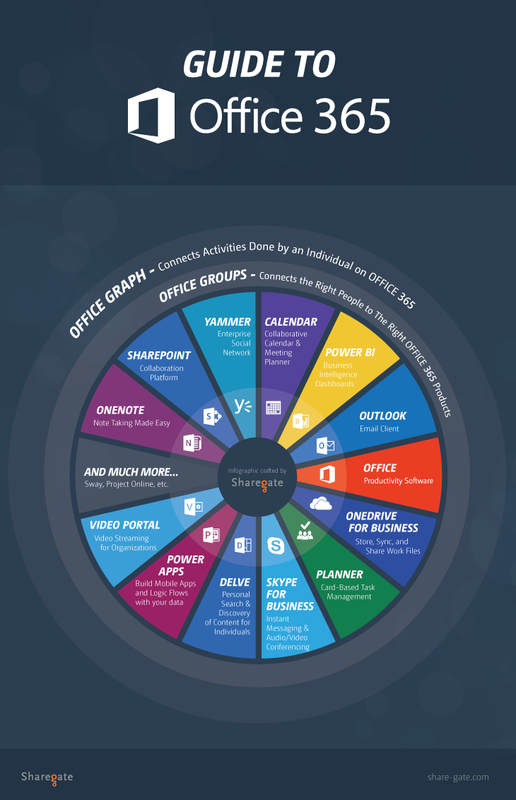 • How is Office 365 integrated? This module explains how to utilize Skype for Business to collaborate with others through instant message, call, video and sharing of information. This module explores OneDrive for Business, where users can easily store their documents and share and access them from anywhere on any device. Users will learn how to share with others and find and access the documents that have been shared with them. This module explains how SharePoint can be a great source to locate and share information about yourself and the documents you work with. This module explains how you can view and modify a document in a web browser and access from any device and any location. Will explore Office Online for Word, PowerPoint, Excel and OneNote. This module explains how to work with e-Mail using Outlook Web Access (OWA). This module explains how to utilize new features within Outlook 2013/16 when working with Office 365 Exchange. • View Mail Tips. See when someone is out of the office when creating a message.